It’s that first cold night and your furnace kicks on, just like it did last year. It seems to work just fine. So why do you need a furnace maintenance? Today’s furnaces, air source heat pumps and air conditioners, are built with advanced technology that enables them to perform at higher efficiencies. For example, the motor that runs today’s 97% energy efficient multi-stage gas furnace is more sophisticated than the one that was in our 80% efficient single stage furnace years ago. As we see in comparing current cars to a 1957 Chevy, more complexity equals more that can clog, break and misalign. Therefore, heating manufacturers strongly recommend an annual tune-up (aka maintenance). In fact, some manufacturers require annual maintenance do be done in order for products to comply with their warranties. When your furnace is dirty or its' parts have loosened with use, it is straining to achieve the desired heat output. That straining causes wear and tear on the system that shortens the life of your equipment. Our Fox HVAC specialist doing your maintenance will inspect all of the parts and adjust them as needed for proper operation. They can also see when parts are wearing out, and can provide options for repair or part replacement. So an important benefit of having an annual checkup is to preserve the financial investment you made in buying your system as long as possible. 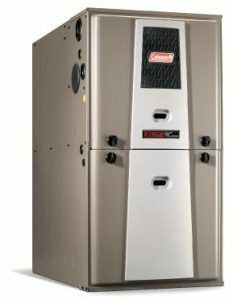 A well maintained gas furnace will last around 12-15 years. If your furnace is not delivering its expected output of heat, that can make for a very uncomfortable home. Having everything adjusted and readied for the heating season will give you the maximum comfort and warmth. And isn’t that the purpose of having a heating system!